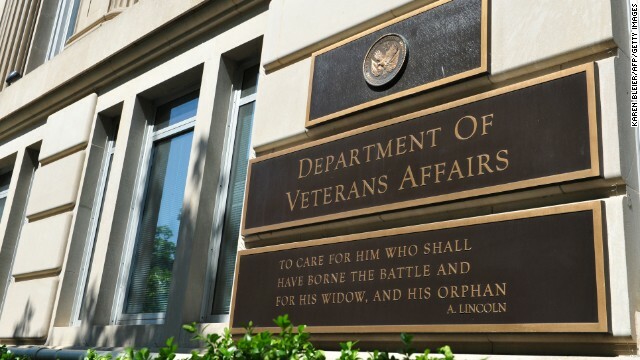 [Update, June 13] The VA tells CNN in a statement: With the investigation by the U.S. Attorney and VA Office of Inspector General (OIG) completed, VA has initiated administrative actions related to the Legionella outbreak in Pittsburgh. On June 13, Acting Secretary of Veterans Affairs Sloan D. Gibson directed that VA Pittsburgh Healthcare System Director Terry Gerigk Wolf be placed on administrative leave, pending the completion of administrative actions related to the Legionella outbreak. (CNN) – Two Pennsylvania congressmen, one Democrat and one Republican, charge that officials within the national Department of Veterans Affairs tried to stall, if not block, their attempts to find out about hundreds of veterans on wait lists for years, waiting for health care appointments at the Pittsburgh VA. If the charges are true, the VA officials responsible should be terminated, chairman of the House Veterans Affairs Committee Rep. Jeff Miller, R-Florida, told CNN. After stories emerged of long waiting lists for veterans trying to get appointments for health care within the VA system, on May 28, Rep. Tim Murphy, R-Pennsylvania, received an unusual phone call from Pittsburgh VA director and CEO Terry Gerigk Wolf and deputy director David Cord, sources tell CNN. Cord told Murphy, the congressman says, that an internal audit indicated that the Pittsburgh VA “passed with flying colors,” with the exception of those veterans seeking appointments in podiatry. “I don’t believe that,” Murphy said, according to people on the call. Murphy says he was taken off guard by the phone call. Officials with the Pittsburgh VA – which has had significant problems in the past, with an outbreak of Legionnaire’s Disease in 2011 and 2012 that left at least six veterans dead – never independently picks up the phone to call him, his staffers say. Doyle said that Wolf had told him something quite different – that Pittsburgh had up to 700 patients on this wait list, called the NEAR (New Enrollee Appointment Request) List, for veterans enrolling for the first time. Some of these veterans had been waiting years for their first appointment. Specifically, congressional sources say, Wolf said she was told not to do so by Gary Devansky of the Pittsburgh-based Veterans Integrated Service Network 4, on behalf of Vivieca Wright, the Veterans Health Administration's Director of Network Support. A spokesperson for Wolf and Cord would not comment. “These allegations are not being made by Mr. Cord or Mrs. Wolf. You need to talk to the people making the allegations about them,” Mark Ray, spokesman for the Pittsburgh VA, told CNN. "Wolf told the lawmakers that officials at VA headquarters did not want her talking with congressmen,” The Pittsburgh Tribune-Review reported. The two congressmen have asked the Department of Veterans’ Affairs Inspector General to investigate this incident and have been told IG has begun its investigation. “At this point, Congressman Doyle wants to let the IG’s office do its work, and he’ll have a comment once he’s had a chance to review the IG’s conclusions,” Doyle’s communications director Matt Dinkel told CNN. The national audit, which came out earlier this week, had a lower number than Doyle had originally been told of veterans waiting for appointments – 491 veterans for whom an appointment was never scheduled, instead of up to 700. Doyle and Murphy suspect the VA was holding off on informing Congress until they could get the numbers as low as possible by reaching out to those on the NEAR list and resolving as many cases as possible. Miller, the chair of the House Veterans Affairs Committee, charged that this incident is not a fluke. He also called for the Department of Justice to get involved.